Chaparral has been building quality family boats since 1965. Consistency in building quality boats along with beautiful designs has made Chaparral America’s #1 sport boat brand for years now. Chaparral has been building quality family boats since 1965. Consistency in building quality boats along with beautiful designs that satisfy the widest range of clients’ needs make Chaparral America’s #1 sport boat brand. It is no wonder that it has been the best-selling brand in the US for years now. High quality boats fabrication is still a process completed by hand by skilled craftsmen. At Chaparral, many of the personnel are second or third generation boat builders that take personal pride in every boat they build. 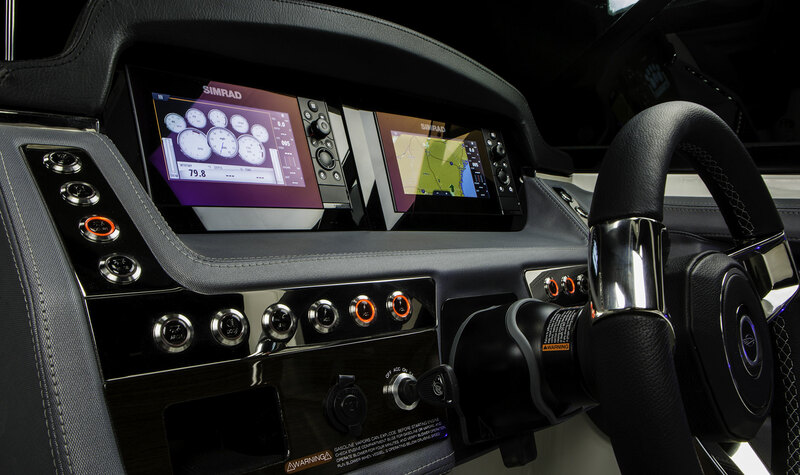 The manufacturing facilities boast the latest in modern boat fabrication methods and technology as well as advanced component manufacturing systems. That edge in technology combined with the high skills of the Chaparral people make this brand set the highest standards of quality in the industry. Visit the Chaparral Boats website where you can get the latest information on models, pricing and specifications. Chaparral’s Boat-Builder menu is one of the best in the industry so go ahead: play around with options, see the boats change colour and then call us to price your favourite boat delivered in the blue waters of Cyprus. Fabrication is still a process completed by hand by skilled craftsmen and, many of the personnel are second or third generation boat builders that take personal pride in every boat they build.